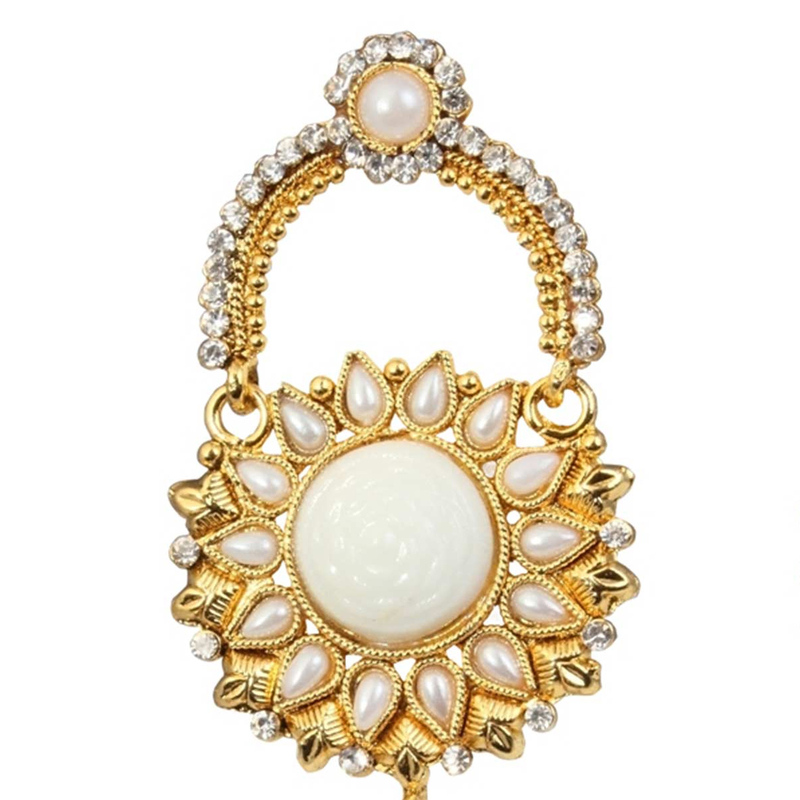 Grab the attention of onlookers wherever you go with this eye-catching golden colored pair of earrings in danger style which is made by alloy beautified with stone & pearl work. 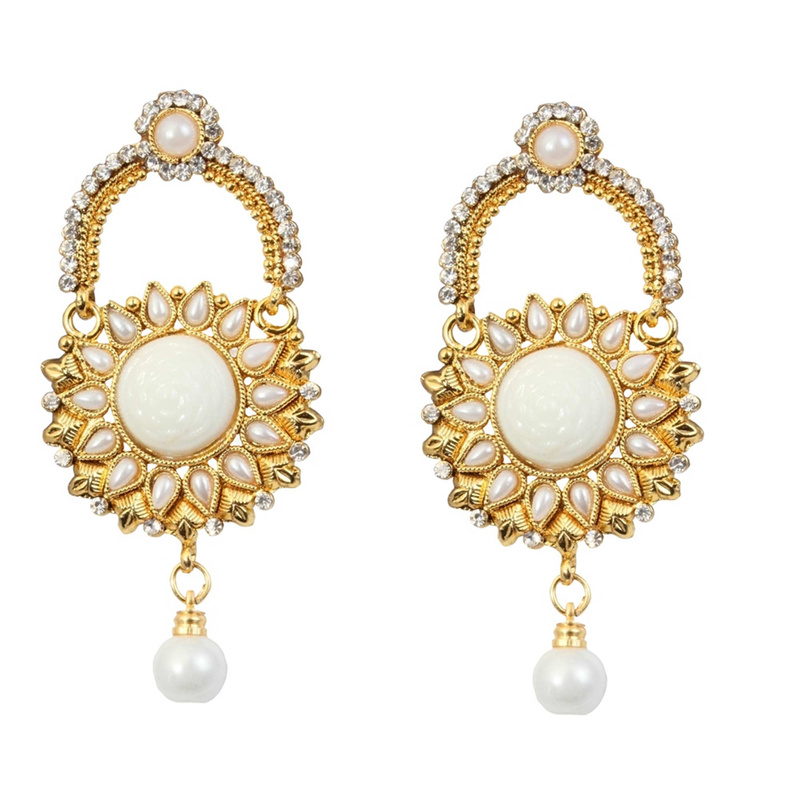 This pretty earrings can be paired with simple kurti or even with heavy dress in same or contrasting color, It's lightweight & perfect for weddings, party & formal occasions. Buy this now before the stock ends. You can buy this jewelry for yourself or also can gift it to someone special.